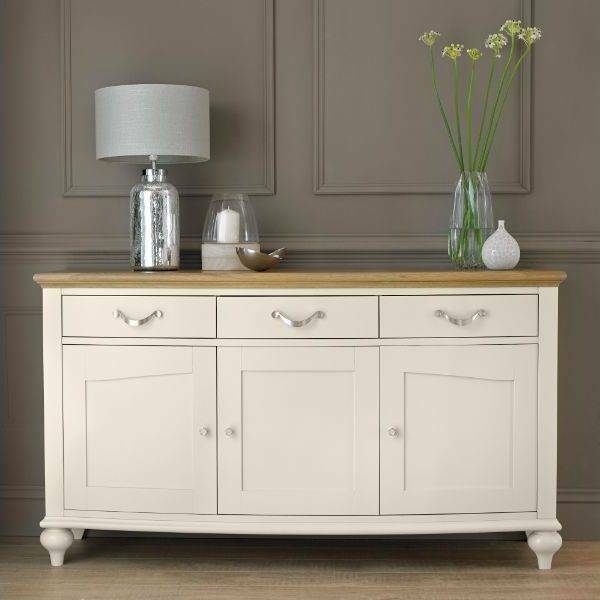 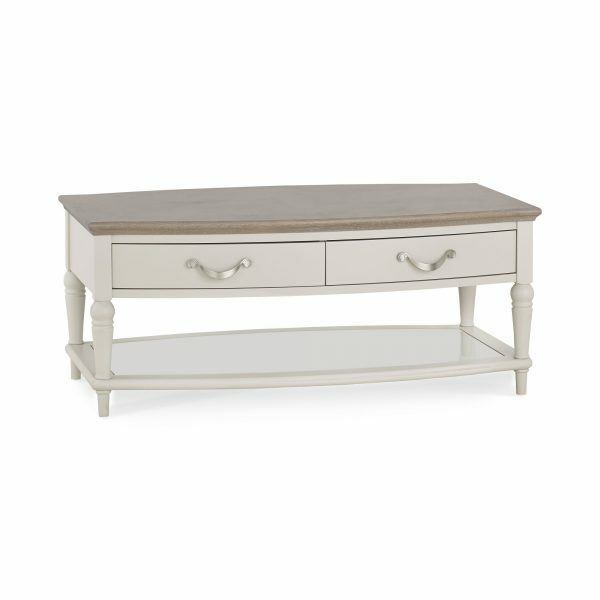 With drama and sophistication in abundance, Montreux boasts beautiful form by way of serpentine framed tops, gently bow-fronted cabinet & classically styled turned legs. 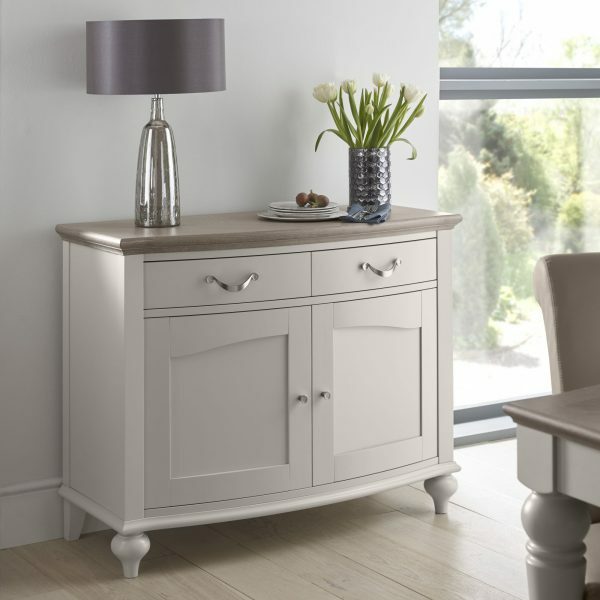 Bespoke handles, intricate oak marquetry tops and large roll back upholstered chairs all add to the uncompromising design detail which together with the combination of striking grey washed oak tops contrasting with soft grey pigment frames will ensure this range makes a striking statement in any home. 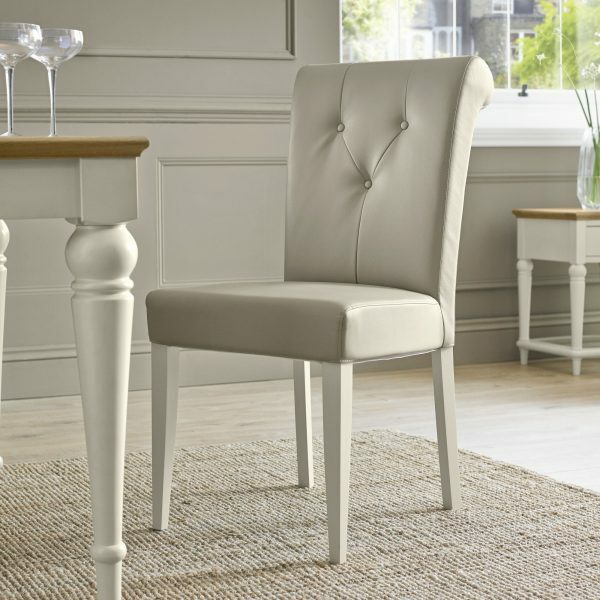 Montreux Upholstered Dining Chairs, shown in Antique White & Ivory Bonded leather, also available in a Sand fabric.